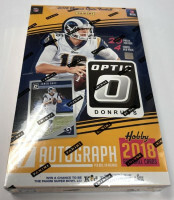 Factory Sealed 2018 Panini Donruss Optic Football Hobby Box mit 20 Packs Per Box, 4 Cards Per Pack. 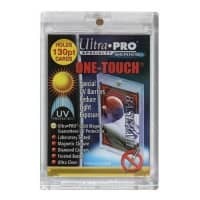 In jeder Box: 1 Autogramm, 10 Rookie Cards, 10 Rated Rookie Cards, 10 Parallel Cards und 4 Insert Cards ! Produktinformationen "2018 Panini Donruss Optic Football Hobby Box NFL"
Weiterführende Links zu "2018 Panini Donruss Optic Football Hobby Box NFL"
Fanbewertungen für "2018 Panini Donruss Optic Football Hobby Box NFL"